Rick Taylor brings 22 years of recovery audit experience to our tam. He is a founding partner responsible for audit operations in the Southeast. Rick has broad experience across retail formats, with strong grocery experience gained by serving the largest grocery chain. Rick has developed many of the grocery audit routines that are now industry standards. He constantly makes inroads to new areas of overpayment error and recovery for his clients. Prior to joining ATG, Rick was Senior Vice President of Operations for PRG-Schultz. In this role, he was responsible for the company’s primary accounts in the Southeast directing a group of regionally based audit managers. Rick consistently developed forward thinking business initiatives for his region that enabled them to meet or exceed their company objectives. 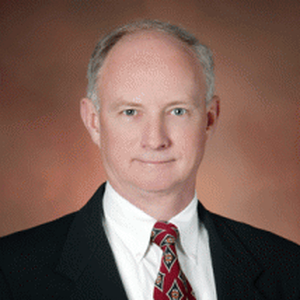 He joined PRG from Robert Beck & Associates, where he served as Principal of Southeastern operations. In this role, Rick oversaw all sales and operational activity, personally handling all aspects of client relationship management. Through his hands-on approach, Rick developed this area into one of the company’s largest regions in terms of clients and revenue. Before entering the recovery audit industry Rick was President and Chief Operating Officer of United Computer Services, a software development and service provider company, and Vice President, Controller for Harris Teeter.